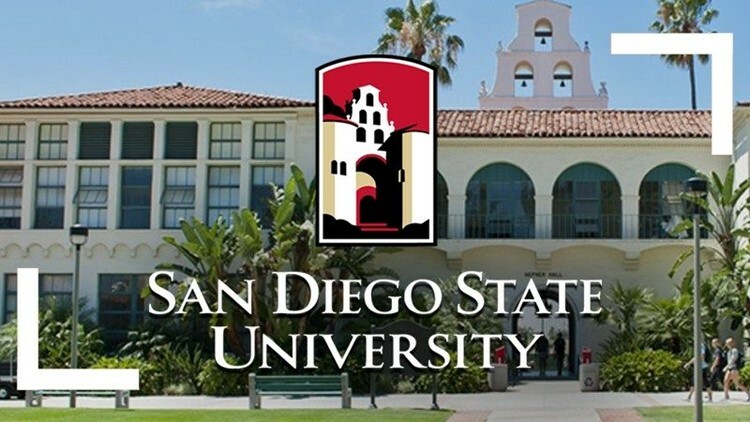 San Diego State University has a $5.67 billion impact on the economy of San Diego and Imperial counties, according to a report released by the university Thursday. It found that the university supported some 42,000 jobs in the two counties that generate $2.01 billion in salaries and wages. It also drove $5.67 billion in industry activity and produced $457 million annually in state and local taxes. "For 120 years, San Diego State University has been contributing to the economic vitality of the San Diego region," SDSU President Sally Roush said. "This new report shows that a thriving SDSU is critical to a strong San Diego economy." Spending by the university itself, including on employment earnings and spending on services and supplies, totaled $700 million in the 2016 fiscal year. It spent $127 million on construction and other capital costs that year, according to the report. The university's nearly 35,000 students spent $407 million on textbooks, meals and off-campus housing in the 2016-2017 academic year, which the report says supported $618 million in industry activity in the region. The report also found that SDSU alumni contribute $4.35 billion in economic activity statewide and $3.7 billion in the region. The report considered direct impacts: spending by the university and its students, indirect impacts: spending by university vendors, and inducted impacts: spending of wages by university employees and alumni. A similar report released in 2010 by the university found that SDSU's impact comprised 36 percent of the California State University system's total impact on the Golden State economy. Advocacy group Friends of SDSU said the report shows the university is an "economic powerhouse" and illustrates why residents should support the university's proposal to transform the SDCCU Stadium site into a west campus that would host a 35,000-seat stadium, research facilities, a park, housing and hotels. "SDSU West unlocks the potential for the university to multiply its economic impacts even further, driving our regional innovation economy and bolstering workforce development," the group said in a release. "A new west campus ... is critical for continued economic growth." Voters next year are set to consider another proposal for the city- owned site. SoccerCity is a $4 billion proposal to build a soccer stadium, housing, shops and a park at the Mission Valley stadium, formerly known as Qualcomm Stadium.